As the most recent version of the hypertext markup language, HTML5 offers quite a number of new features that help create better websites. It also opens up a world of opportunities that if well used can help create more useful websites. At the same time, this language also offers all the goodness of the previous HTML versions including HTML4 and XHTML. Unlike previous versions where webmasters had to use third-party programs in order to play video and audio, HTML5 has full support for both audio and video. This means that the days of using programs like Adobe flash player, Silverlight and Quicktime to play audio and video are quickly coming to an end. This messy way of doing web-based media, which would often result in errors, has now been resolved. Caching of websites has so far been available when one has an internet connection. However, this new html version now allows visitors to load some elements on a website even when they do not have an active internet connection as long as they have previously visited that particular website. 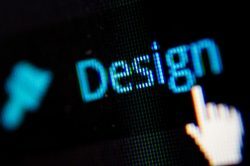 Again, if a website visitors’ internet disconnects when on your website, they will still be able to access some of the core elements of your website. HTML5 is in such a way that it is very easy for web designers to use as well as for the search engines to read. In other words, it is easy to use and search engine friendly. The search engines can easily understand the content and structure of your website if you create it with this very simple code. There is nothing as hard as working with bad code. With the emergence of many browsers, most website owners have been struggling with cross-browser compatibility. This new programing language has at least tried to resolve this problem by ensuring that even if a browser is not fully compatible, it will be, at the very least, able to read the doctype. There has been a great shift over the last few years, owing to technological developments, to the mobile use. Most people are using hand held devices to access the web. Unfortunately, websites created using earlier programing languages are not responsive to this new technology. HTML5 however allows creation of mobile applications and websites. This allows websites to be viewable and fully functional across all types of devices. It eliminates the need to keep scrolling horizontally while browsing websites on mobile devices. This has made the use of the web more efficient regardless of the tool used to access it. As illustrated in the above points, switching to this new programing language is paramount. You should hire a HTML5 professional to update your website so that you can harvest all these benefits and more. developers with new and meaningful ways to organize content. HTML5 create more better useful websites in the world. HTML5’s JS Geo-location can be leveraged to identify the location of the user accessing the website. HTML5 has rich media support that rich content is now accessible on any device, including the Smartphones, Tablets and other portable devices. HTML5 has embeded video and audio files on less taxing on mobile devices batteries. Which become more important and we see more users embracing and relying on the mobile web. Website design company had provided many reasons other than stated in this article are very helpful. Thanks Jenny for this article.